Don’t ex out of this tab. Don’t do it! Okay, good. 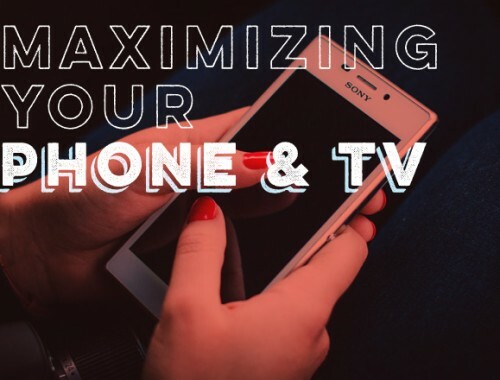 So maybe we’ve arrived at the most boring topic of our Maximizing Your Budget series. I’ll give you that. But it also happens to be the most important. Unlike other budgeting categories that can sometimes be in decent shape just by coasting along, the Retirement & Savings category has to be purposeful to be successful. So today, we’ll delve into the deep dark mysteries of saving money and saving for retirement and how to maximize both like it ain’t no thang. But it actually is a thang, and by the end of this post, you’re gonna own it. So here are all of our tips and tricks, in order from mostest important to most important. When it comes to maximizing savings, timing is everything. The sheer amount of money required to retire can’t be crammed in at the last second. And putting off saving for retirement even a few years can mean the difference in hundreds of thousands of dollars. Why? Well, it’s all thanks to a little friend of ours called compounding interest. 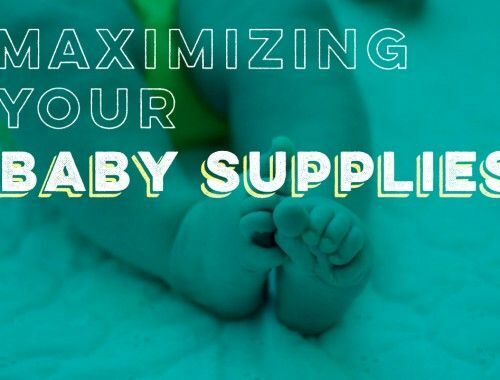 Compounding interest takes the money you’ve saved and makes money babies with it. And those money babies have babies. And those babies have babies, until money babies are running around everywhere. It’s pretty cool. So what are some ways to start investing now? Meet your employer’s 401k match. Do this. Do it now — it’s free money! We even think it’s worth doing while you’re getting out of debt because you can never get those years of compounding interest back. Max out your Roth IRA. We’ve done a post all about this topic specifically. But to put it simply, Roth IRA’s are a nice 401k alternative to help ensure you’ll have plenty of money stored up come retirement age. You could also invest in a Traditional IRA, contribute to an HSA, open a 529 for the kiddos, invest in an I Bond, or pad your 401k even more. The possibilities are endless! And fun, oh so fun. If you want more details about any of those, read all about it here. Set goals & budget backwards. When it comes to saving money, the heart of it is pretty cut and try. It’s simply making more money than you spend. But how do you know if you’re saving enough? Well, that’s where goals come in. #goals #lifegoals #squadgoals #ilovegoalsgivemeallthegoalsespeciallydoughnutgoals. But really, goals are where it’s at. They make you ask the hard questions: What do I want out of my life? When do I want it? How much money will I need to save each day/week/month/year to get there? That’s where backwards budgeting comes into play. Rather than creating a budget from all your expenditures, you create a budget based on how much you need/want to save each month to reach your goals. And if your expenses make that savings amount impossible, you find ways to make more money. It’s easier said than done, but it’s possible. It just takes is a shift in thinking and some hard work. 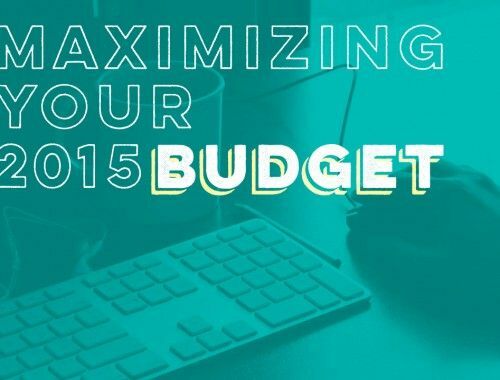 If you want to start a backwards budget today, here are a few more details on how to do it. As odd as it may sound, one of the keys to successful saving is rewarding yourself. While we think it’s important to save as much as possible, we don’t believe in extreme budgeting to make it happen. Saving that’s too extreme is unsustainable and ultimately unsuccessful. 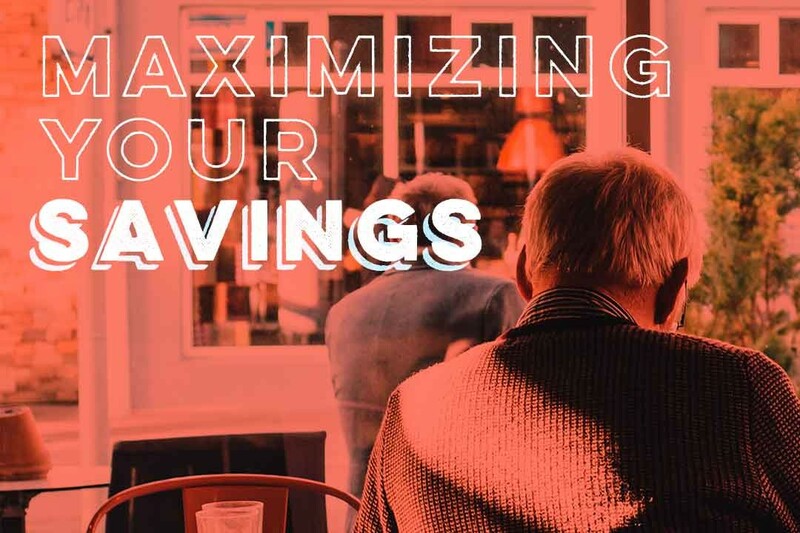 While working towards a savings goal may feel a bit uncomfortable and tight (which is sign that you’re doing it right), little rewards here and there will help you reach your goals. Without little splurges each month, you’re more likely to cave and give into a few huge splurges that will set your savings goals off track for months. Put all those together, tie a big bow around it, and I give you the gift of plenty of savings and a happy retirement. And achieving all your #goals. Magic! So those are our very best Retirement & Savings tips. Now we want to hear yours. What would you add to this list? I love hearing about how to save for retirement. It means I will be well educated when I am able to do so. However, I am currently a graduate student (age 25). I have at least another 3 years left in my program, meaning at the youngest, I will graduate when I’m 28, which is much older than most people when they get their first real job. A problem with that is that how I get a stipend as a grad student, I can’t contribute to any retirement accounts. I don’t have a 401K and I’m not allowed to contribute to an IRA due to it being “unearned income.” What other options are there? Allison – start a Roth IRA through Vanguard. You can set it up to take money out of your bank account (I have mine set up to withdraw twice monthly, the day after I get paid). This is after tax money, so no need to do anything through your employer and ideal for grad students. My sister contributed to her Roth IRA the entire 6 years she was working on her PhD, using stipend money and additional money she earned babysitting professors children after school. OFB has several posts on the Roth IRA, click the link in the second bullet point above. Nope, I’m not able to do a Roth IRA either. We had a tax lawyer come and talk to us and explain things and everyone who had contributed to a Roth IRA or regular one had to pull out. Your sister may have been paid in a different way than we are, unfortunately. I’m no tax expert, but I think Allison had it right. All Roth/Traditional IRA contributions must come from ‘earned income’ that is reported on your tax return. Just because you have the money in your bank account (a gift from your parents, for example), doesn’t mean it can be contributed to an IRA. Are you able to earn other income on the side? Part-time work? If you are married, your spouse’s income can count. If none of those work, it would probably still be wise to open up a taxable brokerage account and start with something. My advice to people is to start with SOMETHING even if you can’t do as much as you want. Since my husband is in grad school (almost done! ), we really don’t have a whole lot to save. I work for the university, so I get a mandatory 7.5% taken out for state teacher’s retirement (which, unfortunately, isn’t matched because I am not salaried…yet!) and then I put a measly 1% into a 403B. That 1% is not even a drop in the bucket… but my plan is that each time I get a raise, I will increase that contribution by at least one half percent. Still, not much, but it is something! And when hubs is done and we’re both making full-time incomes, we will be able to start saving even more. For so long I really felt like it was an all-or-nothing game, but it doesn’t have to be. You can start small and build as you go – but the important thing is to keep increasing your savings as your income increases until you meet your savings percentage goal. Hopefully my family will get there in the next two years or so! I get Dave Ramsey’s thinking on working on one goal at a time but I can’t get behind losing out on the match either! Since you’re not facing a MASSIVE amount of debt and years of payback, the 4% (which will work out to less in your pocket because you will pay taxes on that where you weren’t previously) will not move the needle enough to miss out on their free money! If you were doing 15% and had five years I might say pull back to the match but I would never go below that! The point is to have a plan and goals in place and it sounds like you do…so take all the money!!! Thanks :0) Its nice to get a little validation! I started saving for retirement as soon as I graduated from university and started my first job. A year later, and now married, my new bride and I rented for 3 years while we saved for a house down payment, while still putting money aside towards retirement. After buying our first house, we still put money aside towards the mortgage as well as still towards retirement. Later came our 2 kids and then it was money put aside towards mortgage, towards retirement, and now towards their future college education. Not a lot of money was saved each month towards retirement but whatever the budget could afford. So, yes, we used compounding, time, and conservative diversified investing as tools to get to the position where we are today: retired, debt free, house paid off, kids in good careers, and investments still growing. In the early days, progress seemed very slow and glacial but discipline and patience over the years resulted in things gradually speeding up and growing considerably, all leading us into a happy retirement. As the saying goes, Rome wasn’t built in a day. Patience, grasshopper, patience! This is one area we are definitely lacking! When I was working, I had an automatic 10% taking out of my check. Since making the decision to stay home with our children almost 3 years ago this is something that has not made it into budget. My husband gets 3% taken out of his check and also has company stock that he earns yearly. We had planned to start an account for me this year but then I had thousands in medical bills from multiple issues an a lot of unexpected house expenses (water heater, and new hvac system). I’m still relatively young (28) so it’s been easy to brush off. However, I think we have marked any raise my husband gets next year to go to retirement accounts. We may still get our act together the second half of this year.